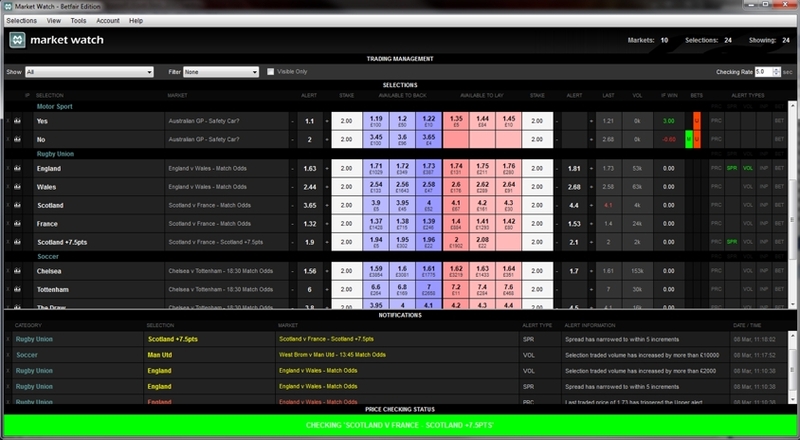 KH4 Sports Traders is an extensive collection of sports trading software. 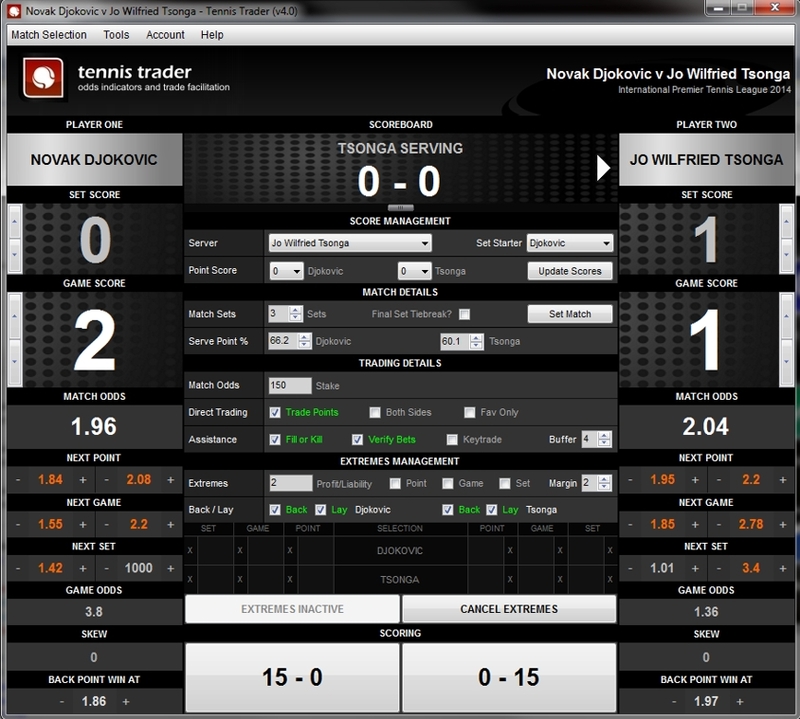 Included are tools for market monitoring, cross-market trade facilitation and match odds indicators for a wide range of sports. 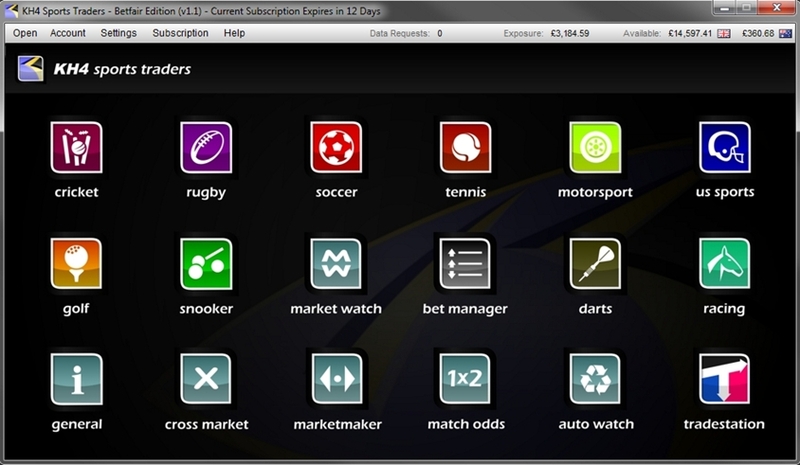 Tools will be added on a regular basis and features continually added to existing tools. We have over 20 different traders and watchers currently being made available for wider use, comprising more than 30 different modules. We are constantly developing or upgrading our traders and watchers so if you have any questions or even suggestions for trader functionality, please feel free to get in touch.